This is a showcase of completed concrete bridge protection projects where the spray-on AQURON 7000 Concrete Corrosion Protection has been utilised as part of concrete bridge repair or concrete bridge maintenance to extend the durability and service life of concrete bridges structures. 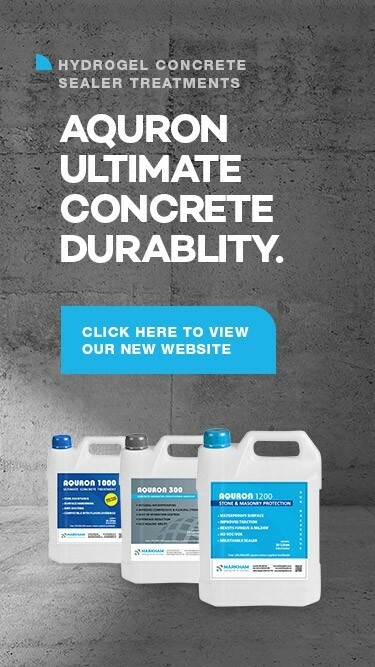 For over 25 years, AQURON 7000 Concrete Corrosion Protection has proven in waterproofing concrete. Waterproofing concrete internally prevents ingress of chloride ions and arrests corrosion of embedded reinforcing steel. AQURON 7000 Concrete Corrosion Protection internally protects reinforced concrete bridges, marine concrete, that are exposed to the natural environment, particularly concrete structures washed by seawater, exposed to coastal spray, or that have been attacked by de-icing salt brines, or acidic effects of carbonation. The corrosion inhibitor component of the AQURON 7000 Solution enhances resistance to corrosion of the embedded steel. AQURON 7000 Concrete Corrosion Protection extends durability of reinforced concrete bridge structures, and is a unique answer to protect concrete assets. Our team looks forward to helping you with any questions relating to how AQURON 7000 Concrete Protection Treatment can help you achieve the best solution for your concrete bridge repair or concrete bridge maintenance. Call us or email us a question.